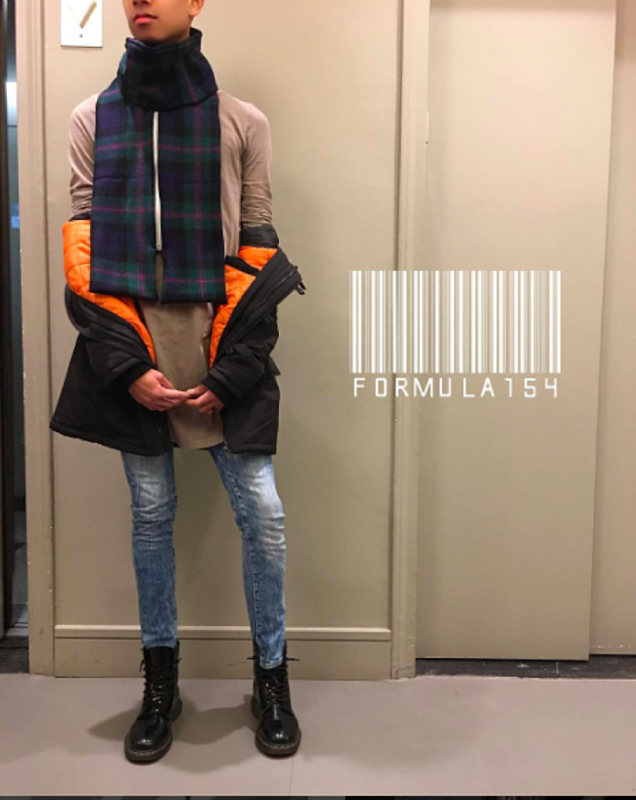 Formula 154, a brand started by LIM student Austin Sierra, is all about reinventing staple pieces. I recall Austin saying “Just because it’s a basic doesn’t mean it can’t be luxurious.” A piece of his collection that caught my eye was a scarf with a zipper detail. Austin was scrolling through his Instagram feed and could've sworn he had seen a scarf with a zipper. He thought it was the coolest thing and instead of looking at the price, he had a better idea, he decided to make one. The next day he went back to find the picture on Instagram, only to realize it was just a flannel shirt. Austin felt discouraged, but made the scarf anyway. He fell in love with the concept and began to make them in an array of fabrics, such as denim and flannel. Austin believes that using different concepts and materials push the custom scarf business to the next level. Austin hopes that Formula 154 will impact people’s lives by pushing them to start something they really want to do, like Nick Torres and Tom Ford had done for him.